One of the most persistent misconceptions about antivirus is that it's just signature-based scanning. 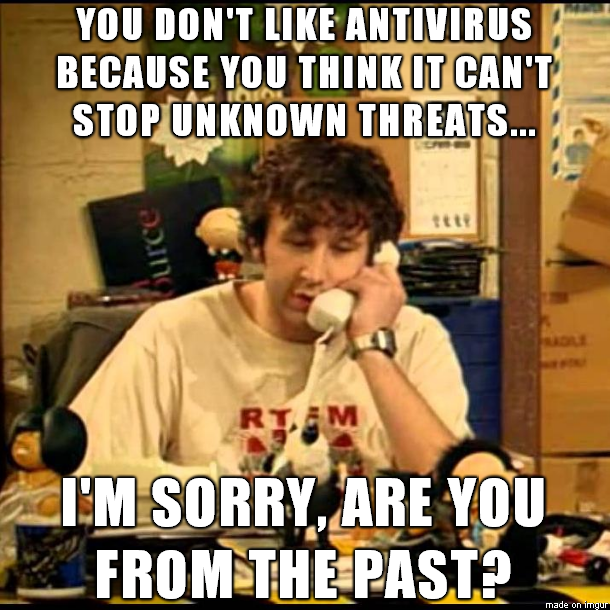 Antivirus vendors moved on from that model decades ago. That doesn't mean they dropped signature-based scanning, but rather that they added many other things into the mix.